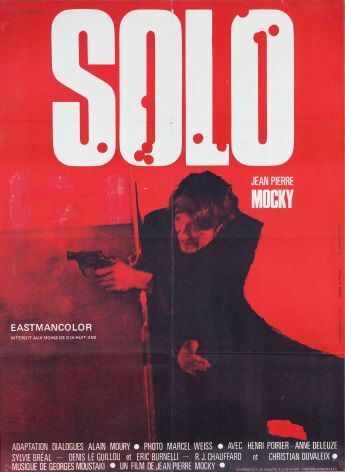 Vintage French movie poster produced in 1969 to promote the film Solo. Vincent Cabral, violinist burglar, goes in search of his brother Virgil who leads a terrorist group from May 68 , exterminating the representatives of the bourgeoisie . He managed to save his friend Virgil and the police, but will eventually be slaughtered.